We made it – it’s finally spring! As Canadians thaw out from winter’s deep freeze and become more active in the longer days ahead, many businesses plan to undergo a similar jumpstart. Like nature, companies and governments operate on cycles that change throughout the year. These organizations tend to prepare and/or focus on annual budgets while also planning how strategic growth projects will unfold over the coming months or years. This makes spring an ideal time to establish or re-focus your government funding plan. The government funding landscape is constantly changing. Companies should evaluate their growth priorities and consider if there are government funding programs that can help them achieve success. Significant business growth challenges can be turned into growth opportunities with careful planning and use of Canadian government funding programs. Hiring and training employees, researching and developing innovative products/processes, expanding production and exports, and purchasing advanced technologies are just some of the ways that businesses plan to build a competitive edge over the coming year; fortunately, these are all areas where companies can receive government grants and incentives. Canada’s recently-launched 2019 Federal Budget outlined several priorities for funding business growth. Among the most notable of these announcements were funding allotments to support the hiring of co-op students, recruiting international talent, and expansion to both the Strategic Innovation Fund (SIF) and Scientific Research and Experimental Development (SR&ED) tax credit. Other industries and regions also received support, including more funds devoted towards economic diversification for Western Canada. While government budgets do not often identify specific funding programs to receive support, they often demonstrate how the funding landscape will evolve over the coming months and years. Businesses that understand the government’s investment intentions can better prepare to access funding, which is a key to being successful with grants and incentives. Consider the following growth opportunities offered to Canadian businesses over the coming months, and don’t hesitate to contact a Canadian Government Funding Planner™ with questions about the programs and investment areas identified below. Recruiting, retaining, and improving the skillsets of employees is often seen as one of, if not the, most difficult aspects of running a business. Ensuring your team understands customer problems, and can create or implement solutions to those problems, is essential to providing sustained value. With a competitive job market and near record-low unemployment across Canada, being able to attract top talent has become increasingly important. Therefore, employers must be constantly seeking high-quality candidates, then support their career growth through periodic skills training. Funding to Hire Recent Graduates: Spring is a great time to attract recent graduates to your company. With many college and university students finishing their programs this time of year, employers have a wide range of applicants to choose from. It’s also a time of year where funding programs focused on hiring recent graduates are most available. Employers should consider tapping into these incentives, which can provide up to 50% of the graduate’s wage to a maximum $12,000 to $20,000 over the first year of employment. Funding to Hire Co-Op Students: Hiring co-op students is another way to access grants while building your team’s capabilities. Employers can hire current students for a period of 12-16 weeks to accomplish specific projects or expose the students to other valuable work experiences. Government funding programs tend to provide about 50-70% of co-op wages to a maximum grant of $5,000 to $7,000 per net new intern. Funding to Train Employees: Spring is also a great time to consider the skills of your team and assess whether training programs could help improve its performance. Building a training plan that leverages internal and third-party training is vital for team growth and is another area where government funding can support. The Canada Job Grant is one of these funding programs; managed through provincial and territorial funds such as the Canada-Ontario Job Grant (COJG), employers can access up to 50-83% of training budgets to a maximum $10,000 per trainee. Research and development are critical to business competitiveness. Without the constant improvement of a company’s products and services, it is increasingly difficult to win customers and increase the revenue generated per transaction. Devoting time and resources towards innovative R&D will help ensure that your organization is proactive to new technological advancements and opportunities to better serve customers. While investing in exploratory innovation activities can carry risk, it is essential to leadership and to forging a greater share of the available market. Product and Process Innovation: The Industrial Research Assistance Program (IRAP) is one of Canada’s longest-running government grant programs, awarding non-repayable contributions towards innovative projects that carry some degree of technical risk or uncertainty. It provides up to 50-80% of research costs to a maximum $10 million in support, although the average range for most IRAP wins starts around $50,000 and can easily scale to provide hundreds of thousands in research grants. Common research themes include product and process development, business process mapping, and feasibility studies. Academic Research Support: While IRAP tends to support internal and professional consultant fees, some organizations may wish to involve a local post-secondary institution to support innovative projects. To this end, the Natural Sciences and Engineering Research Council of Canada (NSERC) provides some support programs that offset the costs incurred from working with a professor and team of student researchers. NSERC Engage typically focuses on short-term (up to six-month) research projects, while NSERC Collaborative Research and Development (CRD) funding supports projects that fall in the one to five-year range. Since it’s been announced that NSERC funding programs will be enhanced starting in 2019, it will continue to be an important source of research and development funding for businesses. Accessible Technology Development: A relatively new initiative, the Accessible Technology Program (ATP) supports development of technologies that enable people with disabilities to succeed in the digital economy. Businesses can receive up to 50% of eligible project costs to a maximum non-repayable contribution of $4 million per project per year to develop and test devices that help overcome numerous disabilities. Innovation Challenges: Innovators can also respond to the federal government’s identified innovation challenges through Innovative Solutions Canada (ISC), a multi-tiered funding program that gained popularity in 2018. The program uses current challenges experienced by government departments to request technology-based solutions from industry. Companies may receive up to $150,000 to perform proof-of-concept projects, up to $1 million to develop prototypes, and can also receive procurement contracts if the proposed solution can be adopted by the federal government. Media Development Funds: Software and interactive digital media developers can also take advantage of the Canada Media Fund (CMF), a suite of supports targeted at progressing projects to the point of commercial readiness, then supporting product launches through domestic and international marketing funds. Funding supports up to 50-75% of eligible project expenses to a maximum of $250k to $1M, depending on the type of project completed. Growing your business through large-scale expansion projects may seem daunting, but one must weigh the potential benefits and drawbacks of such projects over a span of years to understand if it’s worthwhile or not. Developing new facilities or expanding current ones, filling those facilities with advanced technologies, hiring and training workers to support those facilities, and expanding your product/services to new customers are all part of a long-term success strategy and must be supported with considerable investment. Canadian Business Expansion: The Business Scale-up and Productivity Program (BSP) was launched in 2018 but is just starting to provide support to Canadian businesses. Administered through Canada’s six regional development agencies (RDAs), BSP varies from region to region but generally supports large-scale expansion projects that carry the potential to improve productivity, create jobs, and expand export potential. In Southern Ontario, businesses can receive up to 35% of eligible project expenses to a maximum $10 million in no-interest loans. Canadian Exporters: Once your business has scaled production and is ready to seek new customers, a common strategy is exploring international export markets. Exploratory trade shows and trade missions are routinely used by businesses to conduct market research, develop a supply chain, and seek new international customers. The CanExport program addresses these export initiatives by providing companies with up to 50% of project costs to a maximum $50,000 per application, and up to $100,000 per year. Aside from event registration, these export grants also support travel fees and marketing material translation/development for foreign audiences. Agriculture and Agri-Food Expansion: For agricultural producers and processors, a slightly different set of government funding programs can help address expansion and export projects. The Canadian Agricultural Partnership (CAP) is a federal-provincial-territorial suite of programs where specific incentives range in each province or territory supported. This variability helps address local growth challenges impacting the potential of producers, processors, and other businesses in the agri-food value chain. Funding typically supports up to 25-50% of expansion and investment costs. Agriculture and Agri-Food Exporters: Likewise, when production has expanded to a certain point where food producers and processors need to explore new markets and gain new customers, export grants are available. The AgriMarketing Program is available specifically to this industry group and acts similarly to CanExport funding. The program provides up to 50% of eligible project costs to a maximum $50,000 per application and enables travel to international markets so that companies can participate in trade shows or other events. For many businesses, significant expansion projects may require too large of an investment. More common among companies is acquiring a specific piece of equipment that has an immediate impact on revenue or addresses a specific challenge impeding growth. Advanced technologies and computing systems can lead to a dramatic improvement in productivity and/or eliminate process bottlenecks, which is why this investment area gets a lot of attention in the manufacturing industry and other vital sectors. Significant Technology Investments: Businesses adopting highly innovative technologies, especially if those technologies are new to the industry or to Canada, may receive support from the Strategic Innovation Fund (SIF). Boosted with an additional $100 million of funding through Canada’s 2019 Federal Budget, SIF provides up to 50% of eligible project expenses as a combination of repayable and non-repayable contributions. This is a popular choice for large corporations that plan to integrate one or several new technologies and have implementation costs that must also be considered. Southwestern/ Eastern Ontario Growth: Ontario businesses can also benefit from technology grants provided through two related programs, the Southwestern Ontario Development Fund (SWODF) and Eastern Ontario Development Fund (EODF). The programs act in a similar way, providing up to 10-15% of investment costs to a maximum $1.5 million in expansion grants, or up to $5 million as a combination of repayable and non-repayable contributions. Ontario Automotive Manufacturers: Specifically for automotive manufacturers in Ontario, the newly announced Ontario Automotive Modernization Program (OAMP) will begin offering support in 2019. OAMP is being built as an enhanced version of the popular Automotive Supplier Competitiveness Improvement Program (ASCIP), which is no longer accepting applications. The new program will provide non-repayable contributions of up to 50% of project costs to a maximum $100,000 per application. Further details on the program are expected in Spring/Summer 2019. Ready to build a funding plan based on the growth opportunities and programs identified throughout this article? Join Mentor Works’ team of Canadian Government Funding Planners™ during an upcoming webinar to learn more about the government funding landscape. These 30- to 60-minute sessions take a deep-dive into funding eligibility criteria, how the funding process works, and identify specific government funding programs your business can use to fuel its growth. 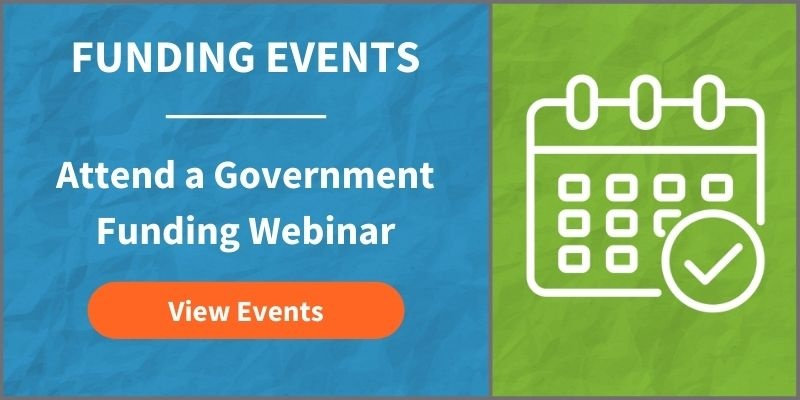 This includes the upcoming 2019 Federal Budget: Government Funding Landscape Impacts webinar on May 9, 2019 that reveals how the funding landscape is expected to change this year. Register for an upcoming webinar to learn more about funding programs for your industry and specific growth opportunities. Posted: April 1, 2019. Updated: April 3, 2019.